Between Sept. 15 to Oct. 15, Hispanic Heritage Month celebrates and highlights all the ways the Hispanic community strengthens American communities. To help honor this important time, we’re highlighting the story of Carlos Castro, owner of Woodbridge, Va.-based Todos Supermarket. Castro was 24 while working in a factory and living in poverty in San Salvador. At the time, El Salvador was in a political conflict that lead to 12 years of bloody civil war. After immigrating to the United States, he worked odd jobs in California before heading east to the District of Columbia. His first job in Washington was scrubbing toilets at a bar, followed by working as a cook and dishwasher to help make money to send home to his family in El Salvador. After his wife, Gladis, arrived in the United States, Castro began working on achieving the American Dream – he took classes, learned English, and focused on starting a business. In 1990, 10 years after leaving El Salvador, he opened the first Todos Supermarket to fulfill the needs of Woodbridge’s growing Hispanic community. Today, the Castro has repeatedly been named one of the Fantastic 50 businesses of the year by the Virginia Chamber of Commerce and expanded his business to a second store in Dumfries. To help better serve his customers, he’s expanded the supermarket’s offering beyond grocers to include money transfer, notary, and tax preparation services. Think of it as a community hub where people can learn about everything from health care to housing. The variety of new offerings has allowed Castro to attract a diverse array of talent, placing an added emphasis on youth hiring to help train workers and create an inclusive culture that helps retain employees for the long-run. In addition to employing dozens of local residents and serving thousands of customers, he’s become an important leader in the northern Va. community. Castro is a founder of the Hispanic Organization for Leadership and Action, and served on the boards of the Prince William Chamber of Commerce, Youth for Tomorrow, Potomac Health Foundation, Hylton Performing Arts Center, Northern Virginia Community College Education Foundation, and the Norther Virginia Workforce Development Board. 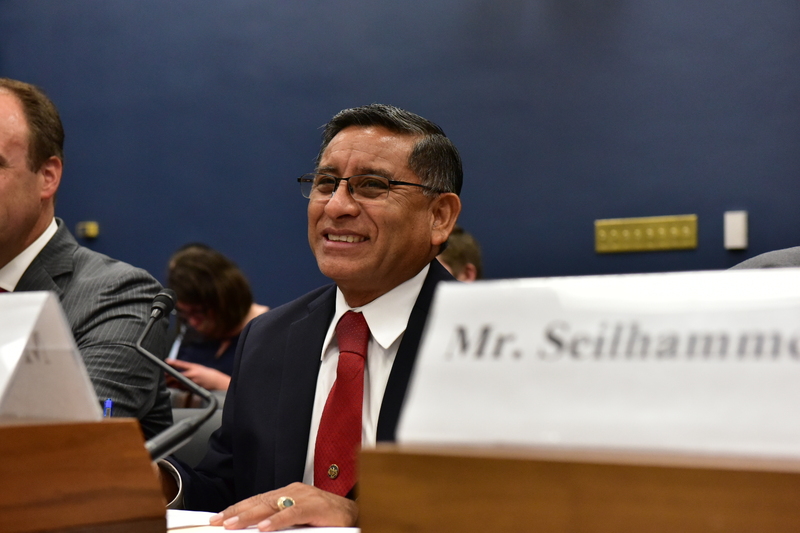 He also recently testified before a House Committee on Small Business subcommittee on behalf of NGA and the independent supermarket industry. But Castro is more than just an innovate entrepreneur; he’s a mentor to many in the Hispanic community and fledging business owners. We’re proud to call Todos Supermarket an NGA member and look forward to seeing how Castro continues to impact those he serves. To learn more about the generations of Hispanic communities that have positively influenced and enriched our nation, visit www.hispanicheritagemonth.gov.